Commentarama: Why Does Everyone Think Obama Is Smart? Why Does Everyone Think Obama Is Smart? With the Democrats blaming Obama for their pending beat-down, the handwringing journalists keep asking: “how could someone so brilliant as Obama be failing?” But a better question is, what made anyone think Obama was brilliant to begin with? It seems to be “a given” that Obama is a brilliant man, but I honestly don’t know why. I’ve heard him speak in public, and when he’s not on a teleprompter, he stumbles over words, his thoughts are disorganized and simplistic, and he speaks more in slogans and clichés than coherent ideas. That’s a sign of a weak, poorly informed mind. Moreover, he’s shown he can’t debate. He's indecisive. And what’s worse, his performance on health care shows that he’s either unwilling or unable to grasp policy details. That means he’s either so lacking in intellectual curiosity as to be professionally negligent, or he lacks the raw intellect needed to understand what he’s been told. In either event, we’re not talking about a very bright man. So why do people think he’s smart? Let’s look at the evidence. The first thing they always mention is he went to Harvard. Ok. Harvard admits some of the smartest kids on the planet, and it’s one of the most competitive schools to get into. But we don't know if he got in on merit. In fact, his background would make an admissions officer drool, no matter what his grades and test scores looked like. Moreover, beyond admissions, Harvard is notorious for massive grade inflation and a not-very rigorous education (and always has been). Compounding this, Obama won't release his grades, so we have no way to know if he just bounced along at the bottom of the class until they graduated him. Thus, we can’t use this as a basis for calling him intelligent, much less brilliant. But he was on Harvard Law Review! Yeah, well, there was a time when law review was only for the very top students, but those days are long gone. Now many schools have multiple law reviews just to make sure that a huge percentage of the class can put it on their resumes, and it's often no longer grade dependent. What’s worse, there’s no proof Obama even wrote an article, which is usually a requirement to get onto law review. So again, this tells us nothing. What about Obama the “community organizer?” Being a community organizer is a job that any high school drop-out ex-con can do. So how does this prove anything? Further, what exactly did he accomplish in this job? Seriously, if we're supposed to believe he's brilliant because he was a brilliant organizer, then what exactly did he organize? He's never pointed to a single accomplishment. There is no Selma March that he organized, no Million Man March. . . not even a Three Guys And Dog Day Trip. But he was a law school professor! Actually, no. He was a lecturer. Lecturers are like part-time help at law schools. Some are brought in for particular expertise, others are brought in for public relations. My law school had dozens of these people: politicians, local attorneys, former court clerks. Basically, all you needed was a resume that sounded more impressive than the other applicants. 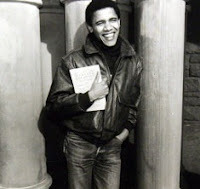 Obama was a Harvard grad and a state legislator/U.S. Senator at the time he was a lecturer. That makes him a public relations ploy, that’s it. Indeed, the real tip off here is that Obama never published anything. Real professors, i.e. the "learned" kind, are expected to publish constantly. He went eight years without publishing. That’s a sign he was just hired help. Beyond that, Obama has no other professional accomplishments to show. He never held a job or ran a company. He never practiced law, appeared in court, served as a judge, or did anything else that would tell us that (1) he was competent and (2) other people trusted him. He was a state legislator/U.S. Senator at one point, but that means nothing. You can be a total moron and get that job. A better measure is what he did when he was a legislator. In that regard, he is remarkably accomplishment free. Indeed, the only thing he really did was run for President and miss a lot of votes. But he wrote two books you say? Actually, there is very strong evidence that Bill Ayers ghostwrote “Dreams of My Father.” This actually isn’t unusual, as most politicians let others write their books: Ted Sorenson wrote John Kennedy’s “Profiles in Courage,” Barbara Feinman wrote Hillary Clinton’s “It Takes A Village,” and Lynn Vincent wrote Sarah Palin’s “Going Rogue,” and so on. But it means we can’t count this book as evidence of intelligence. Conversely, he may have written “The Audacity of Hope,” but that book was pedantic and cliché ridden. At best, it shows an un-thoughtful hack writer with little to say and even less ability to say it with. Thus, we have no academic achievements to inform us, no professional achievements to inform us, and no other accomplishments to inform us. So what exactly tells us he's brilliant? Nothing. So why do people simply accept his brilliance as a fact? Because they were impressed with his speeches. But he didn’t write those speeches, Jon Favreau did. Obama was just the empty suit who read them. Obama highlights the dangers of getting excited about charisma. Just because someone delivers a good read doesn't make them intelligent or capable or someone you should support. Always look behind the image and ask what this person has really achieved in their lives that shows the kinds of traits they will need. If the left had looked closer at Obama, it's doubtful they would be in this kind of trouble today. Andrew: Excellent analysis. Obama has no demonstrable record or credentials which would indicate he is anything more than a very average thinker. Aw, now isn't that special? Not bad for a guy whom nobody can remember and who has not one single written law article that anyone knows of. Lawhawk, I saw that and thought about mentioning it in the article, but it really didn't add anything. This is meaningless PR by the U of Chicago to make one of their own look better. The simple truth is: no publish = no real professor. He was a part-timer. And even if he was a real professor, that still doesn't change anything. I've known a great many real professors who were low grade morons, especially in law school where jobs are often handed out on the basis of local connections. Joel, You have a point about the creases! LOL! Unless. . . someone else creases his pants for him? Hmmm. Seriously, I'm not saying he's necessarily stupid. But I am saying there is no reason to think he's anything smart from his history. In fact, I would say that refusing to release his grades despite Harvard's grade inflation is a horrible sign. So is being unpublished on the law review and unpublished at Chicago, and the lack of achievements as an organizer. No achievements tends to mean no ability. So at best, we can say that we have reasons to suspect he's not that bright. Now add in the evidence of how poorly he does in public speaking and you've suddenly got a HUGE reason to wonder. But instead, people fell for the idea that he's a genius because he gave pretty speeches. Andrew: Precisely the point. The problem is we know that, as does the legal community, but that hasn't stopped his acolytes from using it to prove his genius or the University from being complicit in it. It's what isn't said that proves how lacking Obama is in real accomplishment rather than fancy words signifying absolutely nothing. Unfortunately, the vast majority of Americans are not part of the legal community. On the upside, a great many seem to have figured it out anyway. I say he is stupid. You don't bite the hand that feeds you. He is going after his Democrat donors' wealth. He protects outrageous behavior: New Black Panther Party. He sends Chu down to the oil spill which held-up solving the spill. He thinks we should be grateful for Obamacare. Stupid moves from a stupid man. He is not even listening to James Carville. I don't agree with Carville, but he has the pulse of the gulf states. I think of him as the Lindsay Lohan of politics. Only we have the hangover and we have to deal with the courts. Lawhawk, Call me crazy, but it's getting harder and harder not to see this. LOL! I agree about the law school thing. I think that people hear "law school professor" and they think the person is some sort of genius, but it's just not true. It's the same thing as saying "mechanic": some are excellent, most are competent, some are horrible. Ok Joel, twist my arm! LOL! Actually, I'm pretty sure I've said before that I think he is rather stupid. In fact, I recall trying to calm people down when he was first elected and the left was calling him the Messiah and the right was calling him an evil genius. There was just no evidence that he had the brains to be either -- though I will admit that I thought his team would provide better support, but they've proven to be pretty horrible. My point in the article was just to point out that there was no reason whatsoever to think that this man was anything special, much less brilliant. In fact, there was plenty of reason to suspect that he might be lazy or stupid. And that's proven to be true. Which is why I keep chuckling every time I see an article start with "how can this brilliant man be failing..."
P.S. Excellent analogy to Lohan, by the way! LOL!! I suppose many politicians have their books "ghostwritten" but not many others (to my knowledge" try and pass it off as their own. This was an excellent analysis. Probably the best way I could try to answer the question posed is "because he is a liberal democrat. The old media has always talked about the intelligence of Democrats vs. the lack of any in Republicans. Fortunately, I don't think "everybody" does think he is smart. The emporor, as it turns out, has no clothes. Jed, A few have tried, but most eventually do admit to having ghostwriters. Obama has yet to admit this, much to his discredit. In terms of the analysis, thanks! And you're absolutely right that the media always talks up how brilliant leftists are. In fact, I can hardly think of a leftist politician who hasn't been described as brilliant or a deep thinker. And they do downplay Republicans. Some have deserved it, but it is usually a politically motivated lie. I'm thinking about Reagan in particular who was truly a brilliant man when it came to political philosophy, but they tried to make him out as stupid. That made me very angry. In terms of "everybody," that might be a little overstated. But I would say that around the time of the election, it was close to 80-90% of the public that bought into this myth. In fact, it was so many people that it began to sound like an alternate reality around here! Even rightists would "admit" that he was brilliant. Even now, a large percentage still think that. But they're learning as the evidence begins to pile up day after day. Lawhawk, We had some top notch people on staff because the school had recently come under new management and they were trying to do something new and different. But it really varies school by school. Most schools aim for fame over talent. Great points. It always bothered me too that the media never looked behind the myth of Obama. They just blindly accepted that he was this genius who had worked his way up, but there was nothing to that. The emperor had no clothes. If you asked anybody at the time, why do you think he's so brilliant, all you ever heard was "everything about him." That translates into "I don't know, I just accept it on faith." Mega, I think the media was in love and that was all it took for them to believe all the best about him and to turn a blind eye to the lack of supporting evidence and the plethora of counter evidence. Frankly, Obama could have claimed that he would do magic and a lot of the media would have accepted it on blind faith. In terms of the public, I think the public saw what they wanted to in Obama. I wonder what the historians will say 60 years from now about the period we are going through. Hopefully, they will say, "The electorate was dumbed down so much that they elected the penultimate in stupidity, Barack Obama. Fortunately the electorate wised up enough to block him the next election and the following president was anything but stupid." I’m never one to spoil a let’s call Barry stupid fest, but! …he has infested this country with porkulus, Barrycare, and now Wall Street Reform, other wise known as the union enhancement plan. He’s accomplished exactly what the left wanted, and getting rid of these plans will be herculean tasks, even for the most fearless politicians, something that Washington sorely lacks. Not too be cliché, but he’s the perfect “Manchurian Candidate,” his job is to read the teleprompter, and smile or smirk, nothing else. This crap he’s passing are generally two to three thousand, no way he knows what’s in them, the democrats have had this assault in the can for decades, they just needed a Barry (stooge) to put a signature on their cancerous legislation. Being smart…well, that’s not Barry’s job, and he doesn’t dissapoint. Joel, It's funny you should say that. I've been weighing whether or not to write an article about the laughable historians who rated him higher than Reagan. Partisan idiots. One of the reasons they did was "intelligence," as if Obama is smart enough to even read the things Reagan wrote! I suspect that an unbiased historian will call this period The Second Gilded Age, when we elected a succession of corrupt Presidents who robbed the treasury for their friends and who used the power of government to shut down competition and to protect their friends from the consequences of their illegal acts, their unethical acts, the tide of history (unions), and the bad risks they took (bankers). Obama personally will be seen as a colossal failure because he was elected with overwhelming majorities, but achieved nothing of substance. He has also created a debt crisis that will tie the government's hands for decades. Finally, he will also be seen as a failure on the race front, where his promise of moving America past the issue of race has collapsed in a wave of race baiting. And he will probably be seen as the man who lost the Afghan War and possibly plunged Iraq back into civil war. Stan, I agree that Obama is nothing more than a figurehead -- that’s what he’s always been. Axelrod specializing in taking empty black men and selling them to whites -- there ain’t no substance there. As for the rest, I don’t think that’s right. First, he’s done nothing the left wants. In fact, they’re furious because each of his programs ended up being nothing more than sops to big business. The stimulus is Pelosi’s doing, not his, and it was intensely stupid -- that more than anything crippled the rest of his agenda. ObamaCare does nothing more than raise taxes and force people to go buy insurance from large firms. It’s destructive, but it’s hardly any evidence of anything someone smart would do -- even by leftist standards. The “Wall Street Reform” is a joke that has NO substance whatsoever. And if you want proof, look at how the price of bank stocks shot up when it became clear it would pass. And all of this together has taken a decade off the effort of restoring the Republicans to credibility. Finally, I think you’ll find that eliminating this stuff will be much easier than it appears, precisely because he’s been so stupid about it that the public wants it undone. In other words, if he were brighter, the public might not have liked his stuff, but wouldn’t have hated it. They hate it. One thing that I would like to add to your last post. A savvy politician who wants to get rid of something in the future, could say, "It is something that only Barack would love!!" Joel, LOL! Yeah, I could see that. I suspect that Obama is on the verge of becoming a Carter-like joke. The real question for him is going to be how he handles the last two years of his term. If he wises up and moves to the right, then he could be more like Clinton. . . but that's not in his make up. He will try to shift to the left, which will only cement the problem. Too bad the mainstream media never bothers to point any of this out. This reminds me of that Imus interview with historian Michael Beschloss where they were discussing Obama's IQ. Beschloss: his IQ is off the charts. Imus: Ummm... what is is IQ? Classic! Even the "experts" have to stop and think for a minute when questioned about Obama's intelligence. It's just taken for granted by most of them that he's brilliant. Pitts, That's absolutely right -- they just nod their heads and repeat what they want to believe. But if you start asking them probing questions, it all falls apart. Then they get angry at you for asking the questions. It's like the way they gave him the Nobel Prize because they wanted to believe that he was going to change the world and they didn't want to wait to see if he actually did it. It's ridiculous. What it comes down to is the cult of personality, which is something liberals are very practiced at. That's also why I've been predicting that when they finally turn on him (and it's starting -- the first wave at least), it's going to be very nasty. The more blind they are going in, the angrier they are coming back out. The fact that every photo of him lately is slurping up a jumbo-sized ice-cream cone might be an indicator that perhaps even the mainstream press is starting to believe he's a bit of a bozo. You pegged him perfectly, Andrew: Obama is nothing more than an empty suit. Unfortunately it took half the country more than 2 years to realize that. Writer X, You are so right about the ice cream! You never really saw pictures of Einstein with an ice cream cone jammed in his face! LOL! You know, on the one hand, it's bad that it took the public this long to figure out the truth about Obama. On the other hand, if they'd gotten a competent Democrat in office (and I think almost any Democrat would have beaten McCain), we could be looking at a much worse scenario right now -- one where they were getting leftist things passed, but without the public outrage. Thus, in the long run, we might be better off. Unfortunately, the short run is kind of painful. We’ll see Andrew, I hope you’re right. I agree nothing this administration does, has to do with brains, these are liberals, it’s about feelings. So in that regard a wise person can dismantle this crap. Repealing things in Washington is very tough, no matter how harebrained they may be. Again, I hope you’re right. 1. The Democrats did a poor job designing their legislation. None of it develops a constituency that will push to keep it in place. 2. The public is irate about everything Obama has done. You can see this in the very high turnout for Tea Party events, the unchanging poll numbers, and the way the public has stopped listening. They will push the Republicans to undo the Obama legacy -- something we rarely hear in politics. 3. There appears to be a new brand of Republicans in ascendancy, and they are much more political. While there are still a lot of squishy Republicans and a good number of posers pretending to be this new brand of conservative, the real ones are really throwing their weight around, backed by the public. I've never seen the party have this strong of a backbone since 1994. I could be wrong, but I think the signs are in favor of undoing rather than just slowing. I also see that this is a change that will be enduring. The problem with 1994 is that the people who elected the Republican Majority went back to sleep. I don't see them going back to sleep any time soon. Joel, I think you're right, and I think the main reason is that whereas Clinton scared people when he hit town and started trying to create HillaryCare, he didn't really achieve anything. So once the Republicans got the Congress, there was little to worry about as the danger had passed. Moreover, because Clinton moved dramatically to the right, "the threat" seemed to vanish entirely and the people got complacent. But this time, Obama/Pelosi did a lot of things that scared the heck out of people, and therefore, this time the threat is real. So the public will likely remain vigilant for a lot longer than before. How long? You never know. But if Obama tries to move left, as I think he will, then the public could remain upset and involved for a good long time. I know what you mean about those on the right and especially center-right calling Obama "brilliant." Even most of the Fox news pundits were saying as much and some still are. Obviously, the proof in the pudding, his actual performance has been anything but brilliant, even at the extraordinally low standards of the Left. In less than 2 years, Obamao has made Carter look an order of magnitude better by comparison. It's troubling to know that the L-MSM and the schools Obamao attended have managed to keep his grades more secret than our national security secrets. Ain't there any journalists that are curious? Or are they all so worried about their jobs that they won't dare investigate? Hopefully, as Obama continues to treat the L-MSM (who helped tremendously to get him elected) like crap more and more might actually consider doing an intensive background investigation that all other Presidential candidates have had to go through BEFORE being elected. At any rate it's clear to the majority of Americans now that Barry is more dim than those green light bulbs. 1. The Democrats did a poor job designing their legislation. None of it develops a constituency that will push to keep it in place." Plus, even if repeals do take a long time I think the majority of the SCOTUS will strike down most of what the Obamao Congress has passed off since it's in direct violation of our Constitution and our Bill of Rights. We are starting to see the media actually begin to doubt a lot of what he does. It began from a "hey, that wasn't far enough left" perspective, but it's beginning to spread. I think the media will continue to get more and more aggressive with him so long as he keeps failing -- though they will lay off as November 2012 nears. And when he loses in 2012, then there will be hell to pay. They will dig into everything about him to discredit him to find out "why he failed them". . . because it certainly can't be their bad ideas that failed. I also suspect that you will see more digging by journalists on Democrats in the future during the primary phase because they're going to want to avoid getting another dud like Obama. USS Ben, I can see this court striking down significant parts of it. They seem very willing to make large pronouncements and they aren't afraid to strike down government over-reach. Indeed. Not only are these bills poorly written and full of contradictions (and the opposite of clarity) but they are very over-reaching in their quest for power over us citizens and private businesses. Obama and his pals in the Congress are like Icarus, they flew too close to the sun (and they got greedy). They are alreading falling, they just don't know it yet. USS Ben, Nice analogy! I think they are starting to suspect that they are falling! That's why the infighting is beginning. This last week, Pelosi's people attacked Obama "off the record" and Obama's people shot back. And the progressives have been pretty angry for a while now about their lost opportunity. I'll admit I thought he was pretty smart at first. They did a good job hiding how stupid he really is. He read his speeches and his interviews were all very friendly, but then in the debates it kind of showed that something was wrong. He did not look very smart in the debates. Ed, That's the thing about "packaging candidates." They get handlers who figure out what their weaknesses are and they go about hiding them. . . rather than correcting them. Someone e-mailed this to me. Thanks. You made my day. You're welcome. Feel free to stick around and check out the other articles. I could not agree more. Great post! Question: Should Fan Fiction Be Illegal? Obama Finally Upset At Al Qaeda, Over "Racism"
Help ! I'm Bound By Law ! Films: Down With The Apocalypse!! Why There Aren't Any Jobs. . . The UN Loves Women--No, Really.